Behind every wedding is a story of two people who have come to celebrate their love amongst family and friends.My job as photographer is to help tell that story. I capture the colourful characters, the picturesque setting, and the moments of high emotion. Welcome to Chiyo McMillan Photography's homepage. 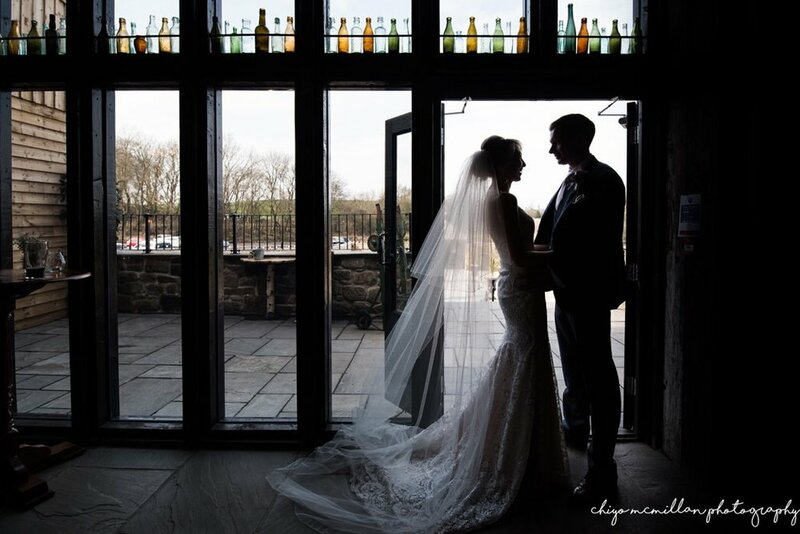 I love my job - what is there not to love about spending days going to amazing locations/venues and spending time with fantastic people on the happiest day of their lives?! I provide professional wedding photography packages, and am dedicated to capturing and creating beautiful, timeless wedding photography from your special day, so you have and can cherish your memories for years to come. When you meet me, you will see that I am very relaxed, easy going, and friendly. I will always put your needs and wants first. Getting to know my couples is one of the most important parts of my job, so we can chat about the style of photography you would like, so I can give you exactly the shots that you were hoping for. My aim is to provide you with the best wedding photography in North Yorkshire! I have over 10 years experience as a wedding photographer, having first started out in Surrey, and continuing in my present job as a wedding photographer in North Yorkshire. I have been a Finalist for 2 years running in 2016 and 2017, among the top wedding photographers in North Yorkshire and the North of England, in the North of England Wedding Awards. I describe my style as 'photojournalistic'. 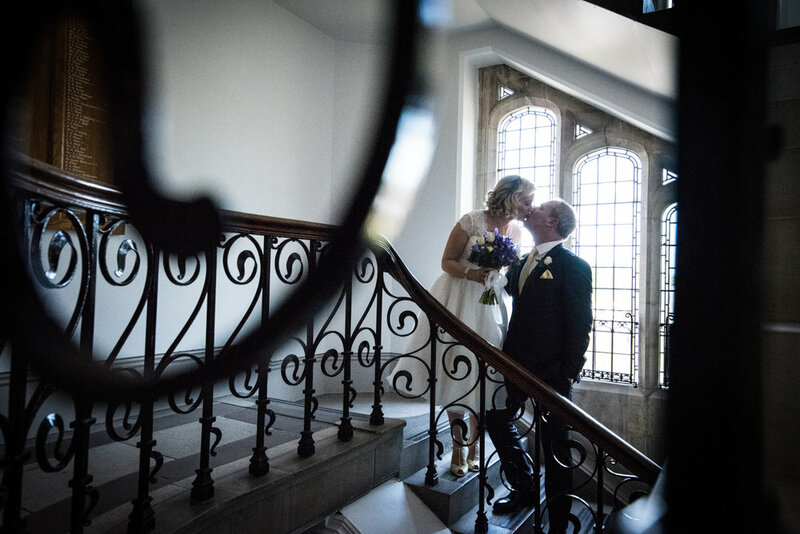 I shoot in a style so your wedding photography tells a story of your special day. Every image is carefully edited to give a slight vintage twist to them. They are YOUR wedding photographs from YOUR special day. I will stand back and let your day unfold, so I can shoot unobtrusively. FUN - Having some fun, and in return, being relaxed around me will create images that will reflect this. As a wedding photographer, it is my job to make you feel at ease. Unique, modern and distinctive, Chiyo has created a perfect album of our wedding day capturing us and our guests. Chiyo documented our day in a combination of formal and reportage style shots. We have received many positive comments about our photos and we could not recommend Chiyo more highly. Having seen Chiyo's website my father decided years before we got engaged that if any of his daughters got married he wanted her to take the photos! We were so impressed with the natural capture using a perfect balance of modern and traditional. We were overjoyed with the results of our wedding pictures. Chiyo was a delight to have around on the day - unobtrusive and inconspicuous yet able to take photos of the most intimate moments. Thank you so much for all your hard work both during and after the day. I can't recommend Chiyo enough. Paul & I just wanted to say thank you so much for the beautiful photos you took of our wedding day. It was so lovely to have you with us, and before long we all really felt like you were just another guest enjoying our day with us. You have a wonderfully relaxed, unobtrusive style that put everyone at ease, resulting in the capture of some truly beautiful moments. We couldn't have asked for a better photographer, and I would happily recommend you to anyone who asks! I regularly shoots weddings in North Yorkshire, but also love getting out for weddings across the UK too!! I have enjoyed providing wedding photography in Reigate, Windsor, Guildford, Manchester, Durham, London.... I love to travel, and do not charge any extra for travel costs!